True Sunshine Preschool Center is a private non-profit corporation that was founded in the True Sunshine Episcopal Church on Mason Street. It is independent, accredited and open to all. 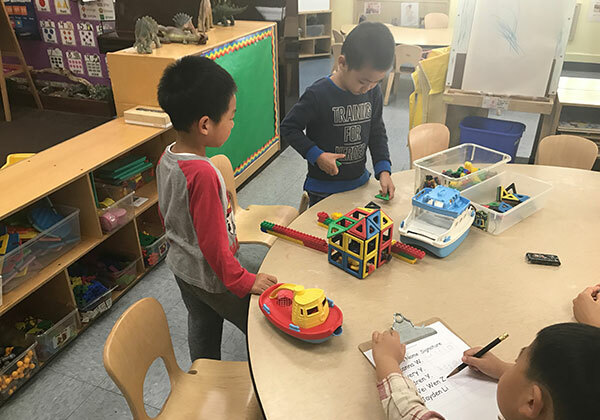 Established as a Cantonese/English bilingual and multicultural preschool program, the School has offered quality educational experiences for preschoolers for more than 40 years. In 1982 the Preschool moved to its current location in the heart of Chinatown. The School’s mission is to serve preschool children from families of all economic backgrounds to reflect the diversity of the larger community and to provide a safe and healthy environment, where children will acquire basic academic skills that will ready them for kindergarten. Our goal is to help children develop their English language skills and become acquainted with American society, as well as learn to take pride in their own language and culture. In this way, we prepare our children to live in a multi-ethnic society. We create a program that will foster the physical, mental, emotional, and social development of each individual. By providing opportunities for children to explore their environment and to act independently, we hope to facilitate the development of their positive sense of self-esteem. Children come to school with unique learning styles, skills and abilities and we try our best to cater to each student's need. We are a full-time year-round, bilingual English/Cantonese preschool serving the Chinatown District. We serve preschool children from 2 years and 9 months to kindergarten age.